After Romelu Lukaku’s stunning arrival at Manchester United, there seemed to be no future for Alvaro Morata at Old Trafford. However, that may not be the case, reports the Daily Express. The Red Devils have already angered the reigning English Champions by securing Lukaku’s signature, who the Blues saw as a potential replacement for their Spanish striker, Diego Costa. 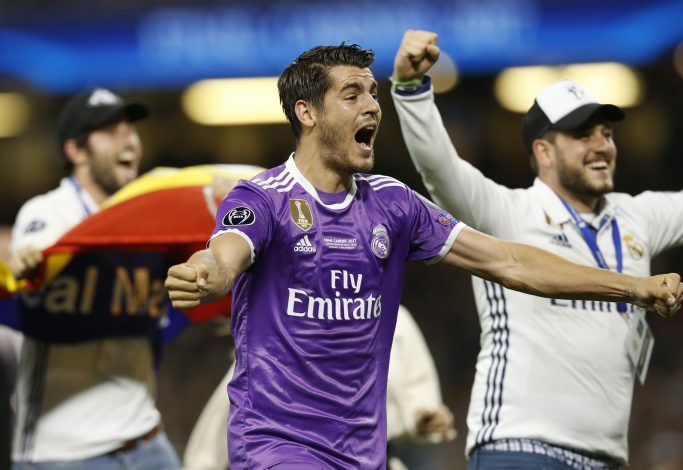 That said, United could yet again repeat the feat, by snaring Antonio Conte’s long-term target Alvaro Morata. The forward has been linked with a move away from the Spanish and European Champions, Real Madrid. 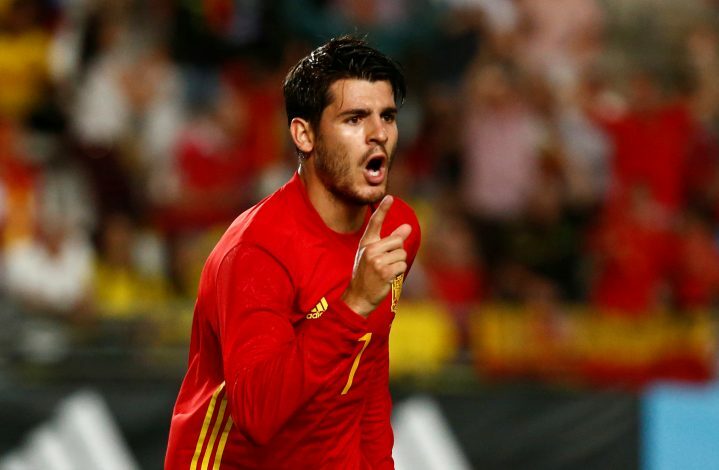 Morata is reportedly looking for a move that could potentially offer him more first-team action, with is not readily available at the Bernabeu for him. Though Morata has had limited opportunities, the Spanish international still managed to score 20 goals and bag 5 assists in all competitions last season. Meanwhile, Morata caught the attention of a few Premier League giants, which include the likes of Chelsea and Manchester United. Seemingly, at first, United were favourites to sign the 24-year-old, but after Romelu Lukaku’s arrival from Merseyside for an incredible £75 million, the Blues were next in line for Morata. But now, the Premier League winners could lose yet another one of their high priority targets to the same team, as the Red Devils have not ended their pursuit for the Real Madrid forward. Jose Mourinho is still keen on adding more attacking threats to his ranks, as he is planning on a long and successful future for his side, which is now without Wayne Rooney and Zlatan Ibrahimovic. Moreover, as the saga continues to unfold, it would be quite interesting to see how Marcus Rashford’s future at the club is affected if the Portuguese manager secures a deal for Morata. Ironically, there are strong reports suggesting the Spaniard’s future is at Stamford Bridge, as the West London side have reportedly tabled a £62 million bid for the talented frontman, because Antonio Conte seis desperate to add Morata to his army to defend the title next season. Talks are ongoing currently, and there seems to be no concrete pointer towards the outcome, which makes the transfer battle between the two English giants more interesting. We reportedly offer £70.5m for morata. Which real rejected. Before we put an offer in for lukaku.